4k00:15A young attractive man uses a mobile phone in a night city. 4k00:17Smart phone man calling on mobile phone at night in city. Urban male professional in his 20s. 4 k Attractive hispanic man using mobile phone. 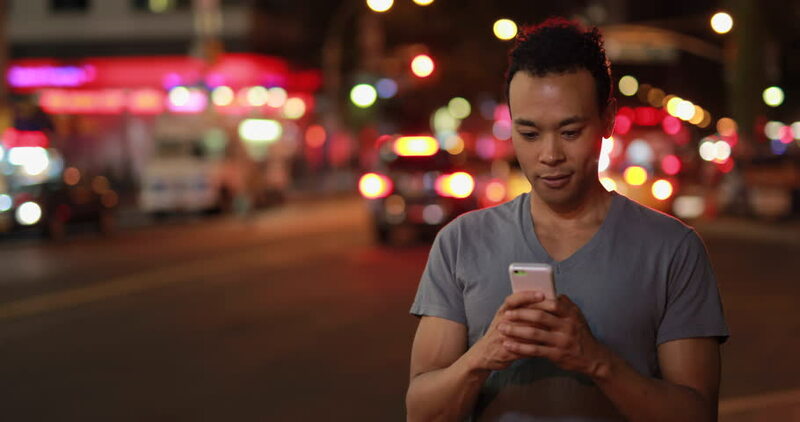 Young man with smartphone in night city.